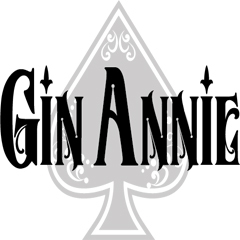 Gin Annie are a hard melodic rock 5-piece from Wolverhampton, featuring heavy guitar driven songs whilst maintaining a melodic vocal style, hook-laden choruses and classy melodies. They are based around the nucleus of singer (and cousins), Dave Foster and guitarist, Byron Garbett. With Jack Ryland-Smith on drums. November 2017 saw a change of line-up to form MKII of the band, with the additional of Brian Green on guitar and Phill 'Hammer' Burrows on bass. They immediately entered the studio to record their first song together - Fallin' - which was released on 9 Feb to wide acclaim, reaching No3 in the HRH Radio Charts.